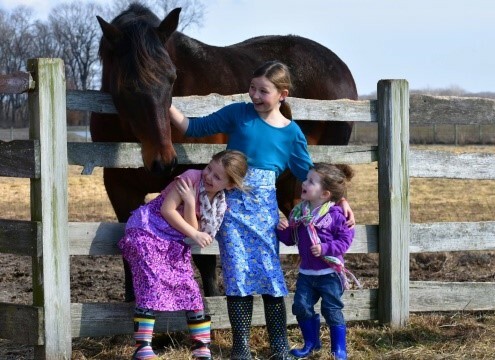 At The Farm at Prophetstown, we keep our animals through the winter- we do not get rid of them and get new ones in the spring. We are dedicated to the animals’ care and welfare, as they are our partners in historic interpretation and helping families make memories! 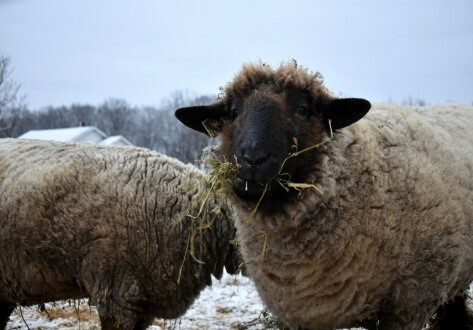 Costs for animal upkeep are one of the major expenses at The Farm, and we would appreciate your helping support their care so that we can continue to have a large variety of animals for visitors. Please consider a sponsorship! We welcome individual and business sponsors! If we receive more than one sponsorship per animal we will use the extra funds for animal care year round. All sponsors will be acknowledged on a sign in the barn. THANK YOU for your support! Can’t pick your favorite animal? Donate to our General Animal Fund! 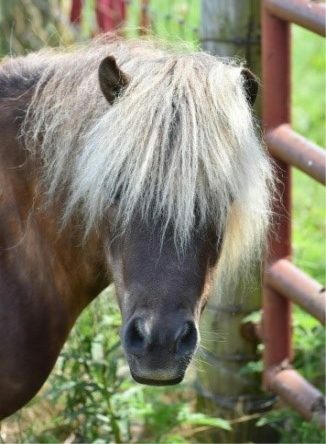 Bo is an 11 year old miniature horse we adopted from Indiana Horse Rescue, after they saved him from neglect. Bo is a great favorite of our visitors. Everyone comments on his crazy hair! Bo’s needs for the year are hay, hoof trimming, vaccinations, deworming and fly spray. 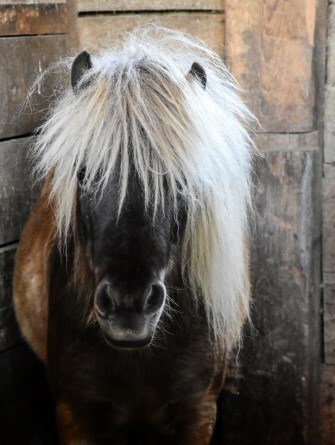 Hope is a spry 21 year old miniature horse who was a neglect case we adopted through Indiana Horse Rescue. She and Bojangles are best pals, but Bo knows who rules the pasture- Hope does! 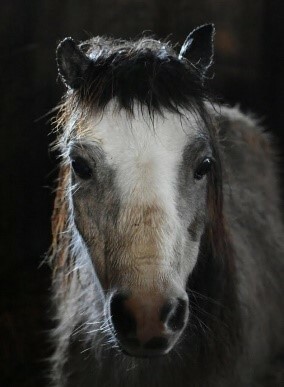 Hope’s needs for the year are hay, senior horse feed, hoof trimming, vaccinations, deworming and fly spray. 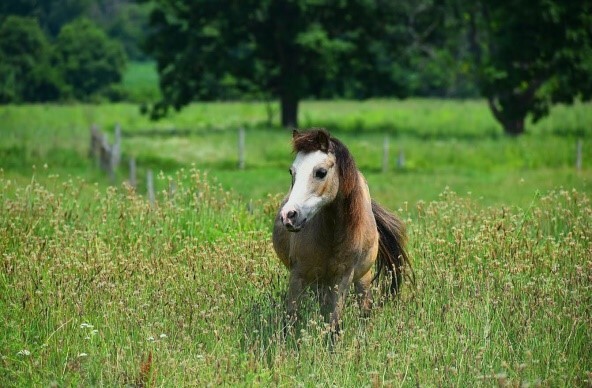 Daisy came to us from Indiana Horse Rescue after her career on the harness racing track. 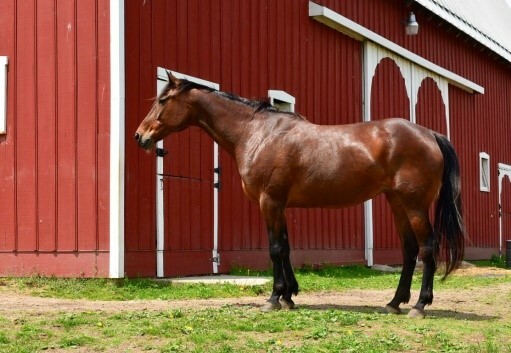 Her breed is Standardbred. 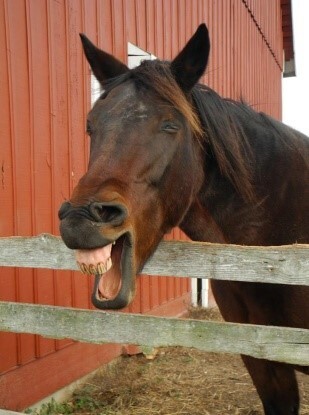 Standardbreds were used on farms to pull plows, and they also pulled school buses, hearses, fire trucks and trolleys. Daisy is 18 years young and has beautiful long legs. Daisy’s needs for the year are hay, hoof trimming, vaccinations, deworming, and fly spray. 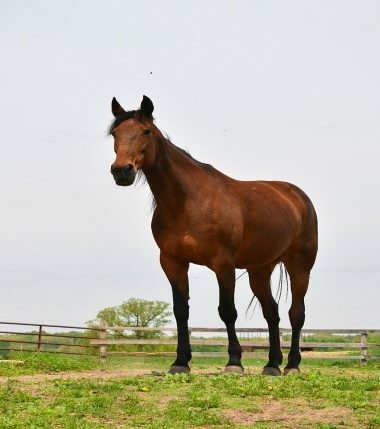 Ryder is a Standardbred, and like Daisy he came to Indiana Horse Rescue after his career on the track. Ryder adores children, especially toddlers! His favorite thing to do is lounge by the fence so visitors will pet him. Ryder’s needs for the year are hay, hoof trimming, vaccinations, deworming, and fly spray. We’ve had Thelma since she was a lamb, and she is such a sweet girl! 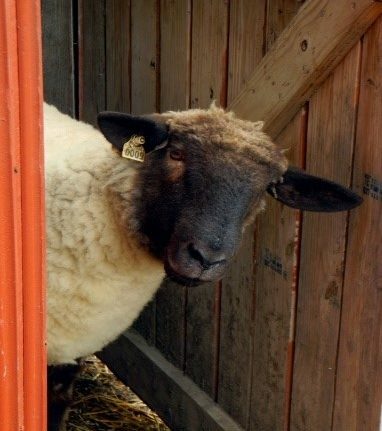 Thelma loves to come up to the fence and let children stick their fingers into her soft, fuzzy wool. She is patient and kind to all our visitors. Thelma’s needs for the year are hay, sheep feed, hoof trimming, and vaccinations. 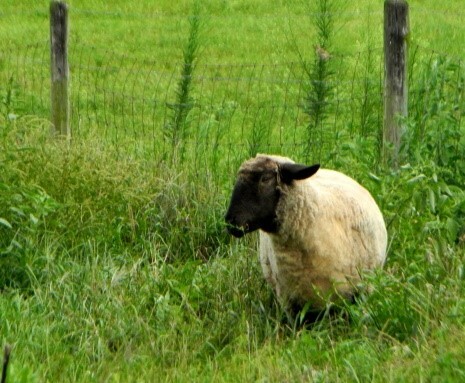 Louise came with Thelma several years ago when they were lambs, so they are good friends. 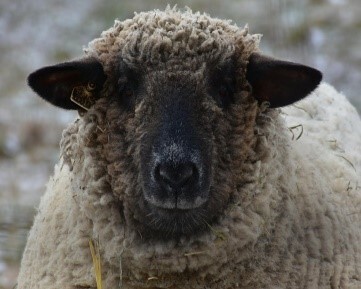 Louise loves hanging with Thelma in the pasture, and she is a very good girl every year when their wool is hand sheared. Louise’s needs for the year are hay, sheep feed, hoof trimming, and vaccinations. 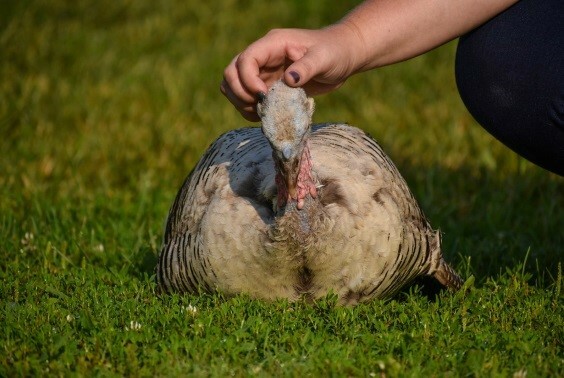 Brenda is a Narragansett turkey, and an absolute favorite with our staff and visitors. She loves everyone, and will sit to be petted. This girl loves “bling” jewelry, and if you’ve got colorful jewelry Brenda will be your best friend. 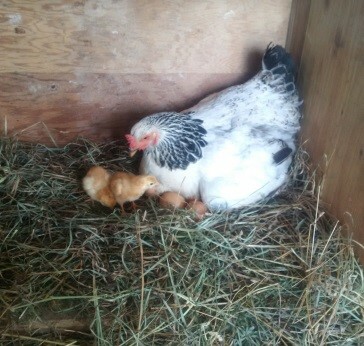 Brenda’s needs for the year are scratch grains and poultry feed. These two girls came to us as babies. 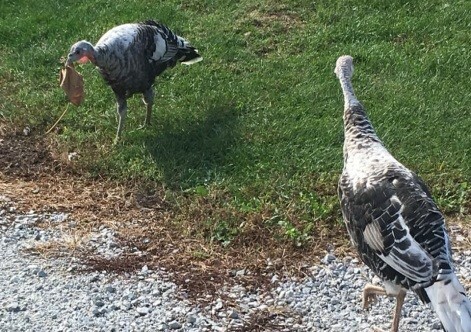 They are Gray turkeys, and have fit right into the flock. Always together, they are very curious and love to explore the Farm. They entertain visitors by being so friendly. 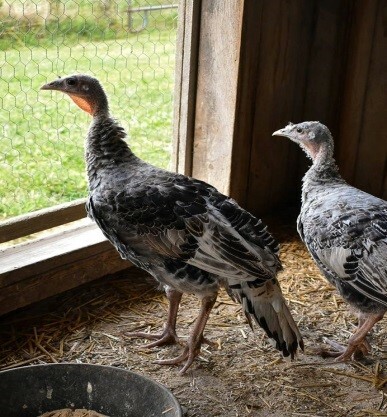 Helen and Georgia’s needs for the year are scratch grains and poultry feed. 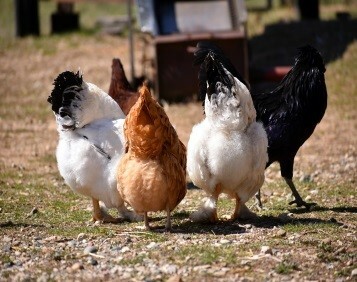 We have seven handsome roosters, all friendly and tame, who play an integral role at The Farm. They keep an eye out on their “girls” and make sure they find food and are safe from predators. 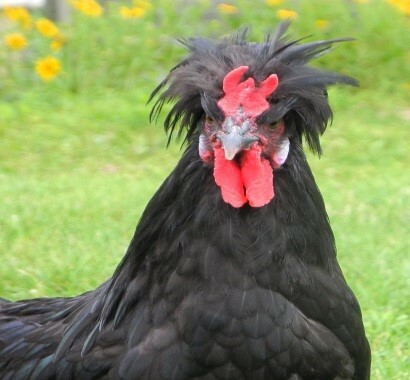 These handsome fellows love to strut their stuff, and if they are feeling really good, they just might crow for you! 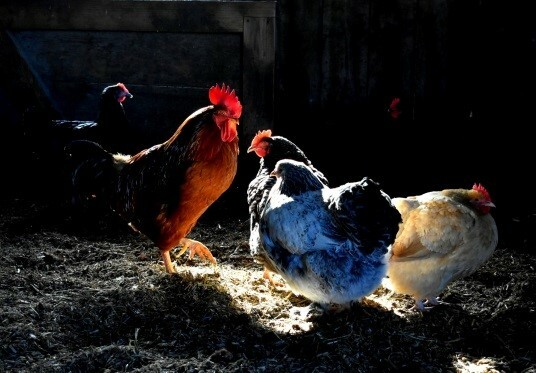 The roosters’ needs for the year are scratch grains and poultry feed. The chickens are always popular children, because of their bright and fancy colors and their antics chasing bugs and playing in the sunshine. What fun they are to watch! We have 90 hens, and they lay healthy, nutritous eggs that we sell. They’re hard working girls who love the fact that they can freely range anywhere they want to go on the Farmstead. The hens’ needs for the year are scratch grains and poultry feed. 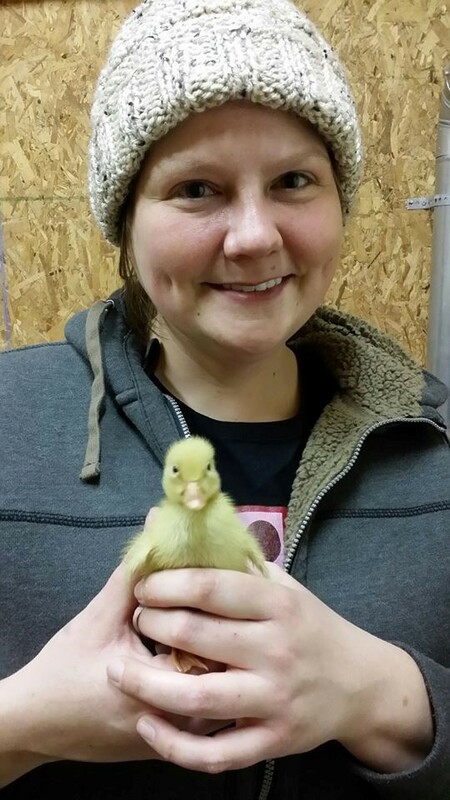 We have two breeds of ducks at The Farm – Buff ducks and Pekin ducks. 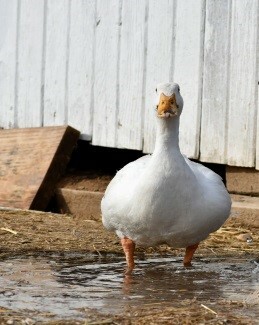 The white Pekin ducks are quite elderly, but still love to jaunt around The Farm and splash in their duck ponds. The Buff ducks spend their days playing in the water, sleeping in the sun, or laying their beautiful opal-colored eggs. The ducks’ needs for the year are scratch grains and poultry feed. 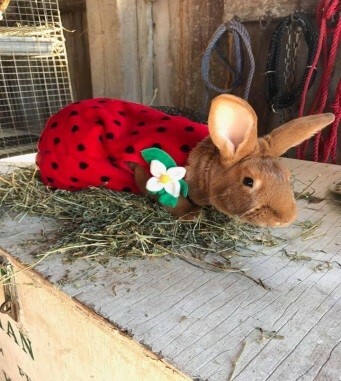 Five New Zealand Red rabbits call The Farm home. By night they sleep in their wooden coops, and by day they play in stalls we call the rabbit romper rooms! They get lots of exercise and are very social. Children love to pet their soft fur. The rabbits’ needs for the year include rabbit feed, alfalfa hay, and special heated water dispensers.